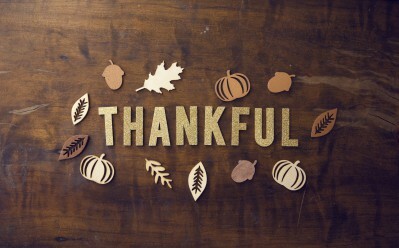 As the Touchwood Team prepares for Thanksgiving weekend, we want to share the things that make us thankful each and everyday we step into the office. From the gratitude we feel each time a writer friend says ‘yes’ to a pitch to the relief we express when we say, “thank God that was a good movie,” these are the things that the Touchwood Team is thankful for. We’re thankful for all of the journalists that still cover independent arts, films, and events. With the number of media outlets shrinking each year, we become more and more grateful for journalists who are still writing about smaller-scale arts, films, and events. Publicity can be an uphill battle for new talent and projects without a marketing machine behind them, especially when you’re in competition for attention with tent pole releases and headline-grabbing names. Journalists that help us share these stories are passionate, risk takers, and some of the best people we know. We’re thankful for clients that have great products, events, and messages to share with the world. In a perfect world, every project that a publicist takes on is a pinnacle of quality and a culmination of their passions. Real life works a bit differently, so at Touchwood we’re thankful that we have the opportunity to work on projects that truly inspire us. Publicists are happiest and do their best work when it’s a project that they genuinely feel strongly about. We’re thankful for great partners that actually understand what we do as publicists. We totally understand that publicity and promotions can seem like a whole new world for those that aren’t directly involved in the industry. We’ve got our own set of priorities, jargon, and preferred way of doing things. We love it when our clients and partners “get it,” or at least make an effort to understand how their campaign and coverage works. You don’t have to understand every detail of how we do things, but a basic knowledge base and realistic expectations makes working together so much easier. We’re thankful for people who are simply and always on the ball. A smile crosses our faces every time we get a quick response for a simple question over email. Our hearts sing when meetings are purposeful and productive. A light shines down from the heavens when the clients we are working with have memorized their schedules and have mastered the art of punctuality. Every project that we work on requires the input of lots of people (clients, artists, managers, publicists, journalists, venue reps and sponsors, just to name a few). When everyone involved is on the ball, all of our lives become easier and our work becomes so much more impactful. We’re thankful to our passionate, capable, dedicated, wonderful team. At the end of the day, our work family is all we’ve got. Thank you for doing everything that you do. Thank you for going above and beyond every day. Thank you for making this little office made of red brick so warm and welcoming. Thank you! May your long weekend be filled with family, fun, and feasts! Happy Thanksgiving!